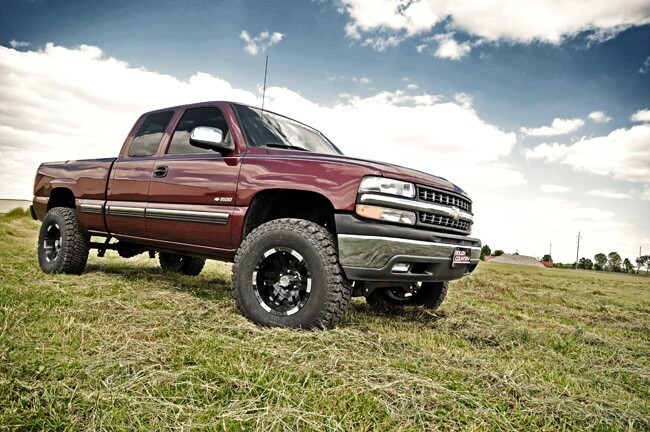 The power of N2 comes to 2WD with Rough Country's 6" N2 Suspension Lift for '99 - '06 2WD GM 1500 models. 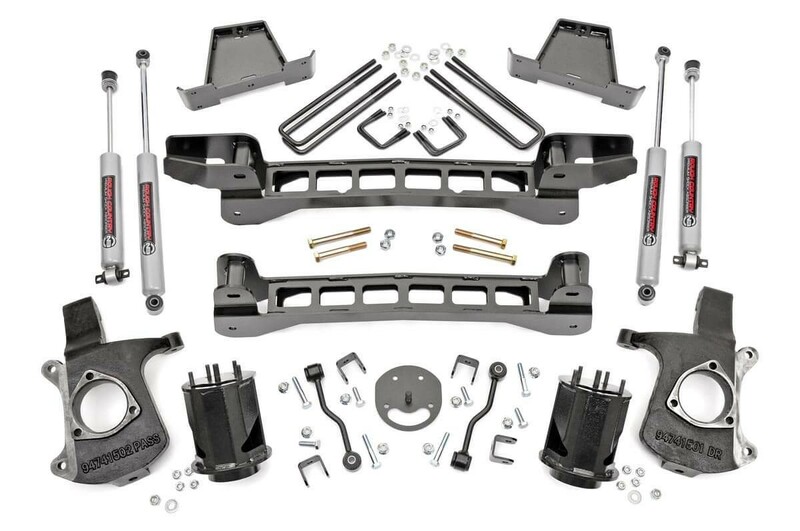 This all-inclusive lift kit features heavy duty components; powdercoated in hammered black for an aggressive appearance and providing enough height to run up to 35" tires. A set of Fabricated Rear Anti-Wrap Blocks are engineered to give plenty of lift while their unique trapezoid shape and wider surface area makes them significantly less susceptible to axle wrap. ONLY fits models with rear leaf spring suspension.